Welcome to Tasty Tuesday. Hi! 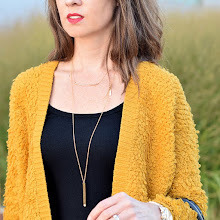 I am Lisa from over at Daily Style Finds, where I blog about all things fashion. And, right now, I am blogging about all things Nordstrom Annivesary Sale - because there are so many great deals - like ones under $25 that are so hard to pass up. Back to food... In the summer, I love to use fresh ingredients and herbs from my garden in as many of my recipes as I can. Since I eat a salad almost everyday, I love finding different salad recipes that are quick and easy - that are healthy and just as tasty. 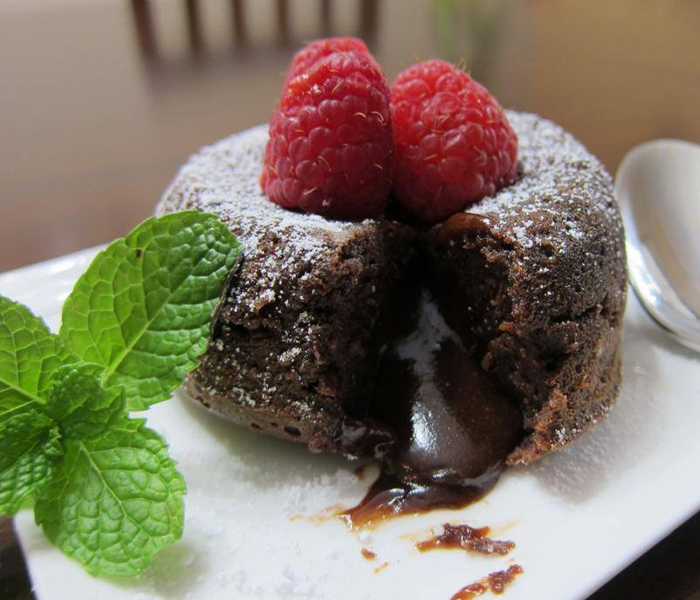 I also love dessert and chocolate cake - just as much - so I am sharing a quick and easy molten chocolate cake that you can make in just under 20 minutes - with very few ingredients. Depending on the serving size - I use 1 part vinegar to 3 parts oil. 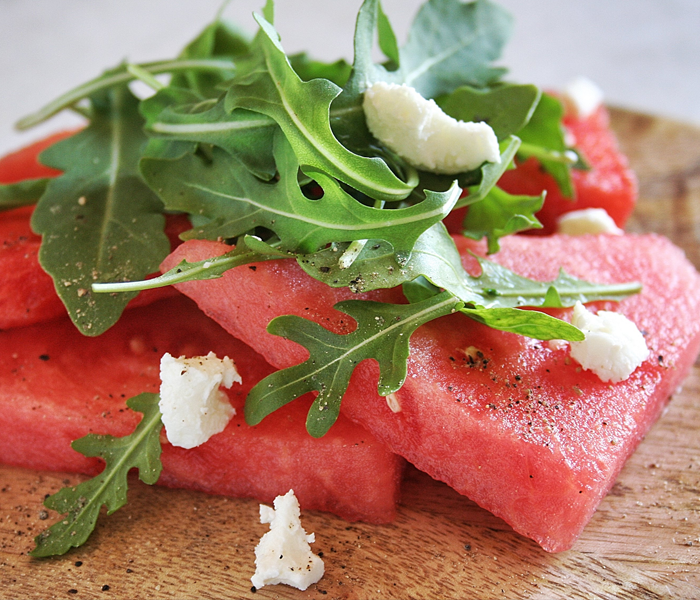 Mix dressing together - and drizzle and toss over salad when ready to serve. Depending on the serving size - I use 1 part vinegar to 3 parts olive oil, with a few slivers of shallot and touch of mustard and honey to taste. 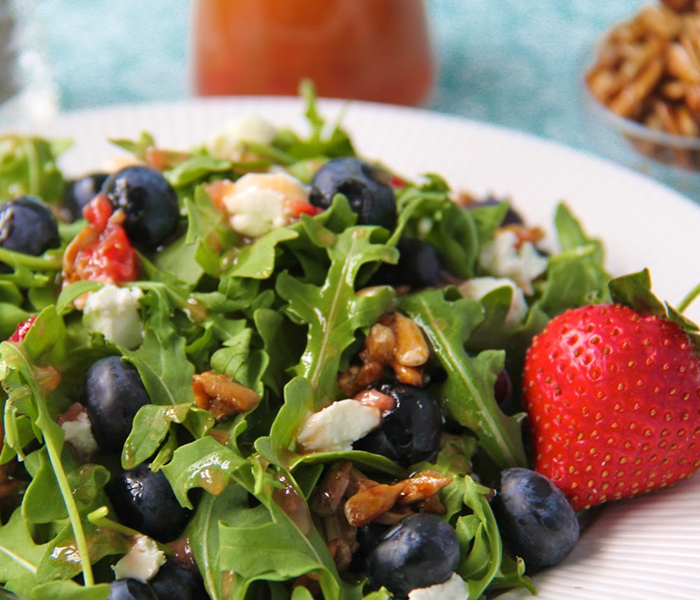 When ready to eat toss with blueberries, cheese, basil, arugula, and walnuts. Heat walnuts in saute pan over low heat - when walnuts just begin to toast, turn off heat, dust with cinnamon, cayenne, and all spice, toss, and drizzle with honey to coat, and toss the pan. Depending on the serving size - I use 1 part lime juice to 3 parts olive oil - mix with salt for taste. 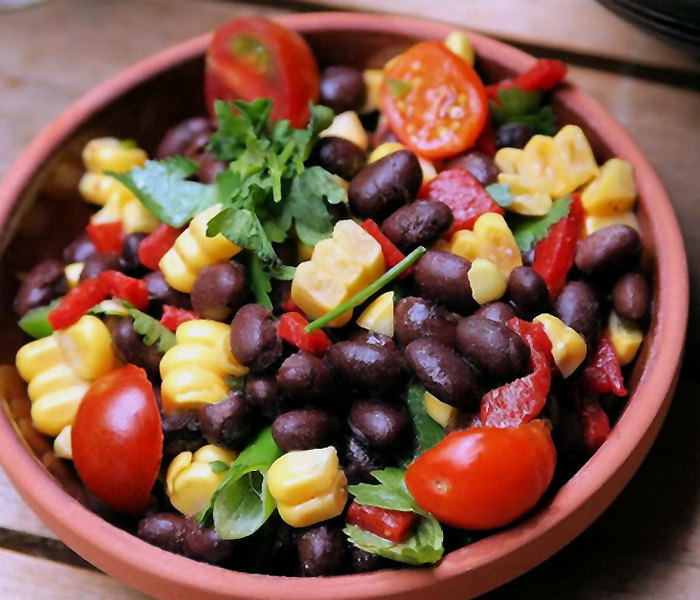 Drizzle and toss with corn, beans, tomatoes, and basil. I typically use a use 2 cans of beans to 4 ears of corn. I cut the corn off the ears and steam it. Then, allow it to cool before mixing the salad. Toast pine nuts in saute pan - until lightly toasted (be careful not to burn them). 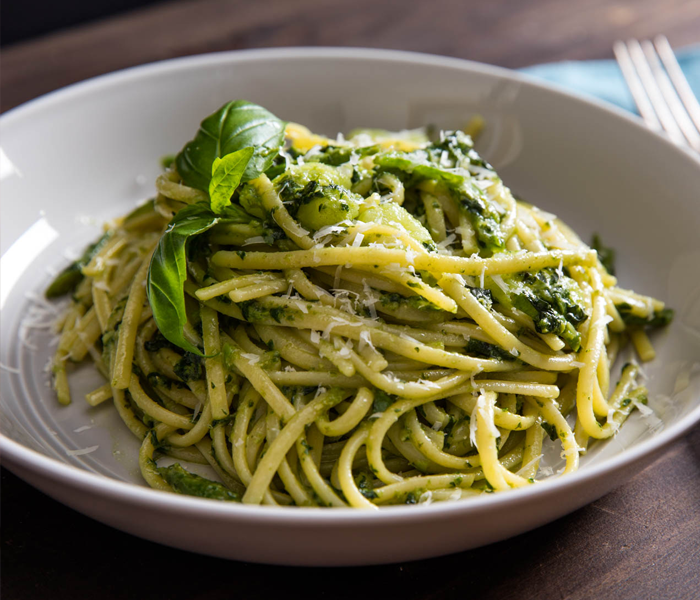 In a food processor, mix pine nuts, basil leaves, garlic - pulse a few times to break down. Then, slowly add olive oil. Lastly, mix in grated Parmesan cheese - do not over mix. Cook pasta - remove from water and toss with pesto. I like to top it with cherry tomatoes. Melt butter and chocolate in microwave for 1 minute. Whisk until completely mixed. Stir in wine, vanilla, and sugar until blended. Whisk in eggs. Stir in remaining ingredients (flour and cinnamon). Place in ramekins. And, bake at 425 F for 8-9 minutes - until the sides have set up and the center still seems loose. If you want the cake more done - back longer - and check with toothpick.